Everyone loves a road trip, especially with a companion like this! 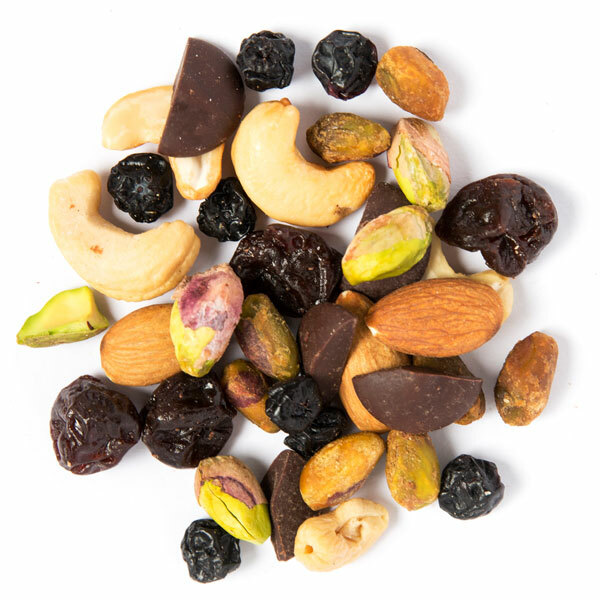 This scrumptious mix was inspired by our healthy hunger for adventure. Explore new horizons with all the goodness of super-berries, mighty nuts, and delicious dark chocolate. Almonds help build and maintain strong bones, while cherries are considered a good source of dietary fibre. Lest we forget, dark chocolate is linked to 40+ health benefits. Happy travels!